I’m Shraddha, an eating-drinking-sleeping travel adventure junkie, born and raised in Maximum City­— Bombay. A passion for travel fuels my soul. I love backpacking as much as a luxurious holiday. I’m in awe of the mountains as much as the sea. From sailing in the blue seas of Croatia to scaling Mt. Kilimanjaro, from road tripping in the enchanting Spiti valley to Scuba diving in Komodo; nothing else comes close to making me happier than travel. Through my years of schooling, I was just another average student bogged down by the rote-learning system. My slight dyslexia went unnoticed and was plainly the cause for my dislike of reading and writing. My mother, however, knew me better and every time before a big exam, she would take me to the nearby hill station of Matheran, where we would sit outdoors, and take in all the oxygen we could breathe as we prepared for my exams. I pondered living with the horses and monkeys and never having to return to school in the concrete jungle of Bombay. Fortunately, not everything about school was unbearable. I looked forward to every vacation as it meant going with the school trekking club on another wild adventure. In hindsight, this was a stepping stone to sharpening my survival skills in the wild and I never missed a single trip. This was the beginning of my love for the outdoors and my ability to dream! During my year at university in England, I grew confident and comfortable living abroad. I was eager to spread my wings and make the most of my opportunity there. I soon started planning my own solo trips and have never looked back since. I began re-discovering the limits of my own self, where I found a sense of empowerment and belonging to something bigger than myself. As my horizons widened, so did my world. I met fellow-travellers from all over and started collaborating on trips with them. I began documenting my adventures on social media as my personal memoirs, but little did I know my adventures and posts left a lasting impression on my friends and family. My inbox started flooding with messages asking for suggestions, sometimes years after I had travelled to a place. People noticed my passion for adventure and urged me to channel it. I felt a unique happiness and satisfaction in being able to share some of my most cherished memories with them. That’s when the idea of ‘The Sassy Pilgrim’ first came to mind. It’s been years now, and I’m still dreaming and manifesting, so much so that travel has now become synonymous with ‘me’ and ‘I’ with travel. It’s my happy place, my identity, and the passion that drives me forward. I love pushing boundaries and conquering fears, and this blog is the best example. Writing it has been one of my biggest challenges, tougher than climbing Mt. Kilimanjaro. But here I am folks, conquering my deepest fears, and hope that it motivates you to live your own life, follow your own passion, and find your own path. If I can do it, so can you. In this blog, you’ll find my perspective, however small, on the various unique places around the world— adventures, tips, guides, and recommendations. I really hope you enjoy the content and more importantly start travelling – it literally is the best thing money can buy! 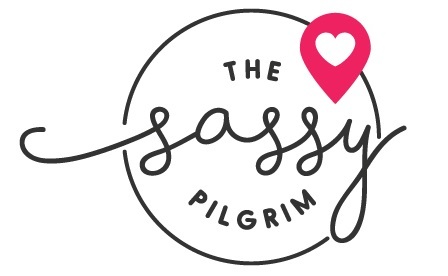 Welcome to my latest adventure, ‘The Sassy Pilgrim’!